With so much attention on Apple right now thanks to the arrival of the iPhone X, iPhone 8, Apple Watch Series 3, Apple TV 4K and recent software releases, it is very easy to forget sometimes that there are other companies out there who are also making some top-notch gear. One of those is Alphabet’s Nest, and the firm has announced a new lineup of products that are aimed at protecting the home. A new smart doorbell, alarm system, and outdoor camera have been added to the lineup, all of which tie into the existing Nest ecosystem. Starting things off, the new Hello is a new smart doorbell that allows users to see and speak with those who are stood in front of it. If you are familiar with the Ring and August’s doorbell products, then this will all sound familiar, and Hello ticks most of the boxes it needs to in order to compete. Reading through the features list, we have the ability to speak with the person at the door, obviously enough, as well as an ability to capture an image of a person stood in front of the bell even when it has not been rung. Nest is working on functionality that will allow for a light to kick in when motion is sensed, too. When hooked into Nest’s $10/month service, the Hello doorbell will also have 24/7 monitoring capabilities, something that can be important to some people. We don’t know when this doorbell will arrive other than a vague window of 2018, nor do we know how much it will cost when it does reach the market. Moving on, we also have the Cam IQ Outdoor, which is essentially a weatherproofed version of the existing Cam IQ. The outdoor version includes the same 4K high-quality recording and smart features like facial recognition and smart alerts. 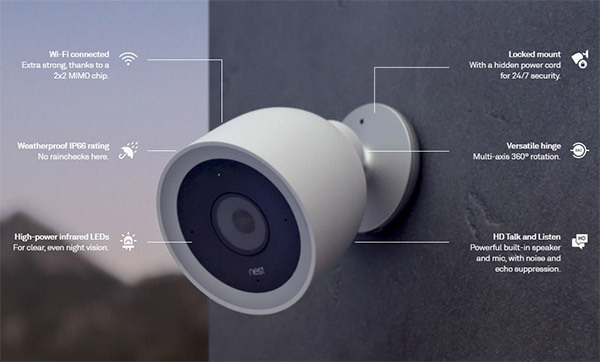 It can also tie into Nest’s $10/month system, giving the Cam IQ Outdoor ten days of recording as well as face recognition. Costing $349, the new outdoor option will cost $50 more than the indoor variant. Undoubtedly the biggest announcement is the Nest Secure, and at $449, it is its most expensive, too. Comprising a Nest Guard, two Nest Detects, and two Nest Tags, the Secure is a multi-component alarm system that is aimed at securing a home. The Nest Guard is a hub with a keypad for entering a passcode to arm and disarm the system and this is also what acts as the brains of the outfit. 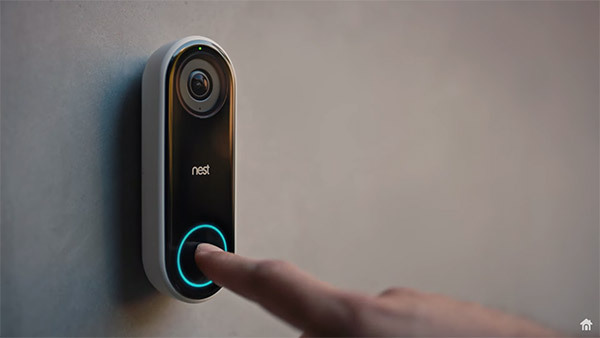 Nest Detects are there to be installed in doors and windows, allowing alerts to be triggered if movement or unauthorized access occurs, while the Tags are fobs that allow quick and easy arming or disarming without the need to enter a passcode. The whole thing can also benefit from 24/7 monitoring via Moni Smart Security for $5 per month. Nest Secure goes on sale in the United States this November. Nest has also announced software update for existing indoor Nest IQ which will bring Google Assistant to the camera, essentially turning it into a Google Home of sorts with built-in camera. Nest products are good and all, I like them and have them installed around my homes. If only Nest adds support for Apple’s HomeKit, it would be a perfect solution for many users. The issue with these kind of systems is: who is monitoring it when you don’t have data?